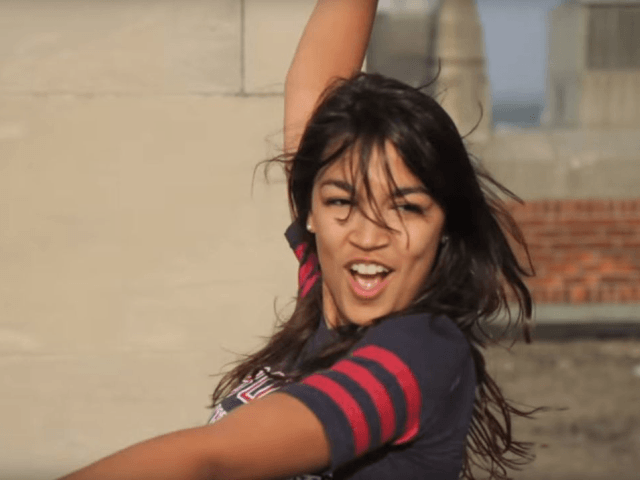 When a video clip of Rep. Alexandria Ocasio-Cortez (D-NY) as a college student dancing on a rooftop went viral on Thursday, journalists and leftists immediately accused conservatives of being “outraged” and leapt to her defense. Yet there appeared to be little actual outrage coming from any conservatives over the video, as some noted on social media. The story did not list any examples of conservatives attacking her and only journalists defending her, prompting calls for Newsweek to correct its story. The account was deactivated shortly after, and it is not clear who compiled the mash-up. Rep. Ocasio-Cortez — who is now widely known by her full name, or “AOC” — herself jumped on the faux controversy, telling the Hill that it was unsurprising that “Republicans would think having fun should be disqualifying or illegal.” She did not reference which Republicans she was talking about.